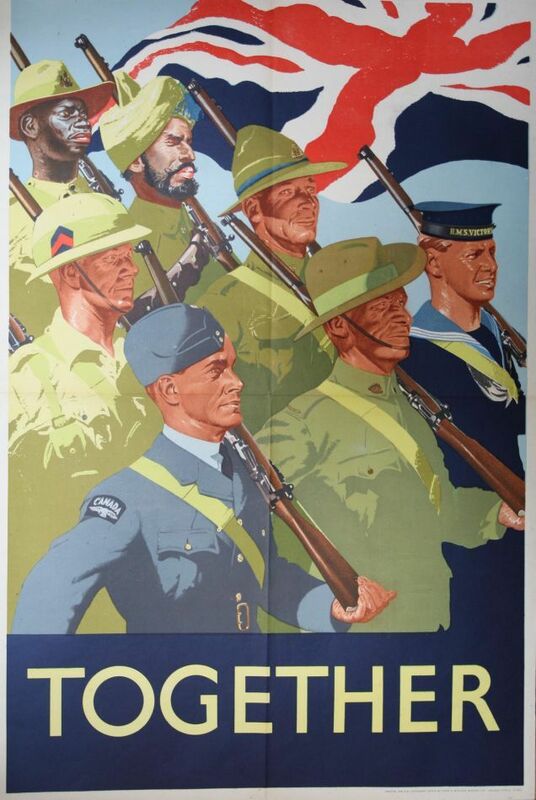 Although by 1945 the latter unit was using around 100 North American Harvards, to give its new pilots some fighter experience before they proceeded to the OTU, the Ambala FTS was issued with around a dozen Hurricanes. However, it soon became apparent that many of the young tyros had difficulty learning to taxi the fighter in the approved manner, as it was equipped with pneumatic hand brakes in contrast to the hydraulic toe brakes that were fitted to the Harvard. 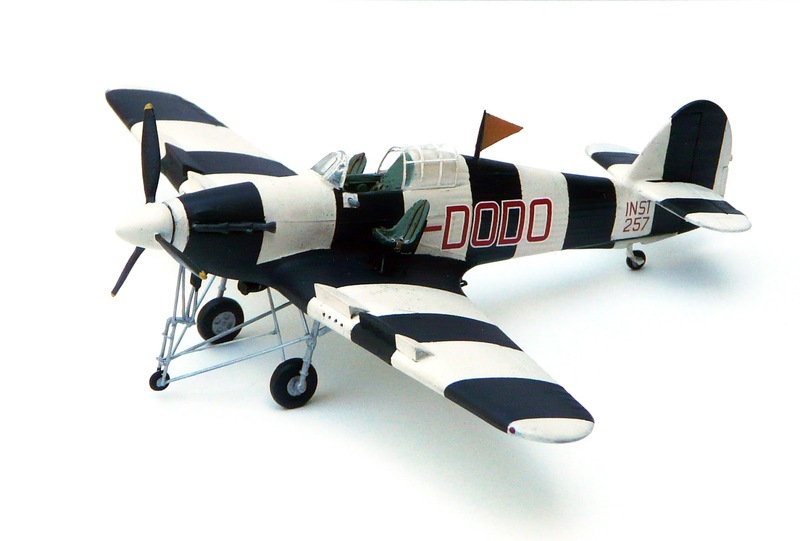 A Hurricane I that had been officially written off was ‘acquired’ by some devious means for conversion to the ‘Dodo’. The newly acquired Hurricane was fitted with an old, and irreplaceable, Rotol wooden propeller ( Troy Smith: the prop shown is a standard De Havilland Hurricane unit, which has metal blades.) and thus some means to protect it in the event of sharp braking was essential. After some searching, Sqn Ldr Edwards obtained a pair of front forks from a Matchless motorcycle which were mated to a spare Hurricane tail wheel and some bespoke welded tubing to create a ‘nosewheel’ that was then attached to the engine mounting. Initial tests showed this innovation to be quite effective, but another problem then manifested itself in that with the ambient temperatures at Ambala often reaching over 100 degrees, the prolonged ground running quickly resulted in engine overheating. However, the ingenious ‘Lofty’ Turner came up with a solution that was again swiftly engineered. The existing, but now redundant, windscreen de-icing system comprised a tank filled with anti-freeze fluid and a small Ki-gas pump that was adapted to have two perforated tubes just in front of the coolant radiator through which water was pumped.Thus, when the engine coolant temperature was approaching its upper limit, a few strokes on the hand pump passed atomised water through the radiator and so improved its efficiency as a heat exchanger! This simple modification then allowed continuous ground running for up to four hours. 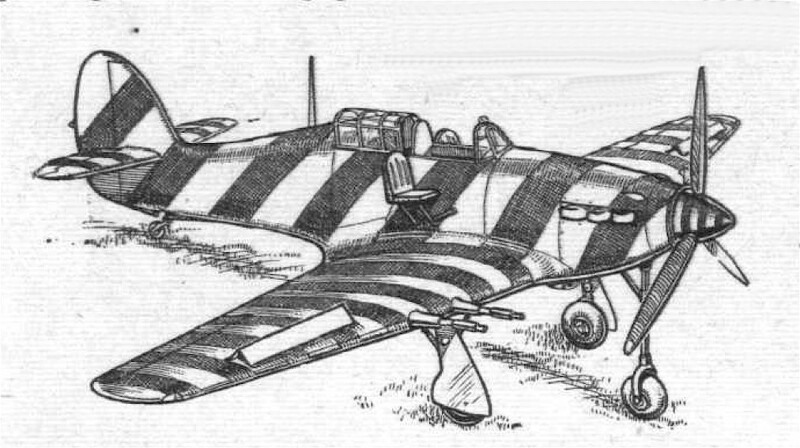 Other modifications for the ‘Dodo’ included the fitting of two external seats — one either side of the cockpit. One was for the instructor and the other for a second pupil. The seat on the instructor’s side was also fitted with an oxygen valve that was linked into the pneumatic system and could be turned off to simulate a brake failure. Once the modifications were completed it fell to the Chief Instructor of I SFTS (l),Wg Cdr Baldwin (Wg Cdr P H Baldwin RAF 72019, who arrived at the SFTS towards end of November 1944), to try out the system. However, on his first test he inadvertently got airborne! Fortunately he landed the supposedly ‘grounded’ aircraft safely following which large vertical spoilers were fitted above each wing leading edge to prevent any youngster repeating the event — especially with his instructor sitting on the outside of the cockpit! 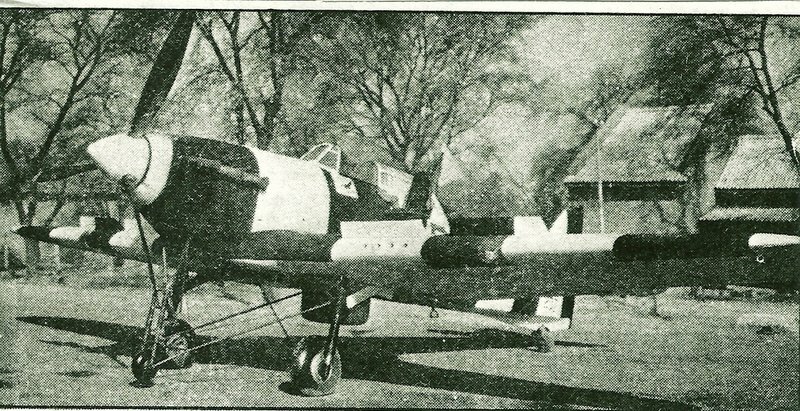 To ensure that everyone recognised what was then christened the ‘Dodo’, it was finished with broad black and white stripes and when active a rigid triangular streamer was fitted to the radio mast.The project was such a very successful adaptation, that with pupils also regularly ground looping Harvards, a grounded example of the US trainer was similarly modified. 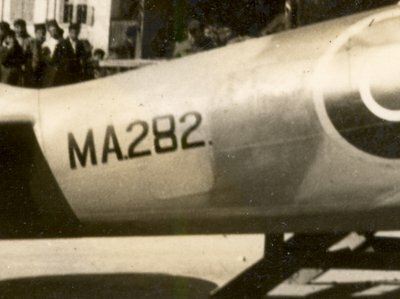 The‘Dodo’ carried the number‘257’ on the fuselage. Unfortunately though, it has not proved possible to establish its full serial number to date. Another impression of the Dodo is by Omega Models inc who published a vacform resin based model kit on the Dodo. 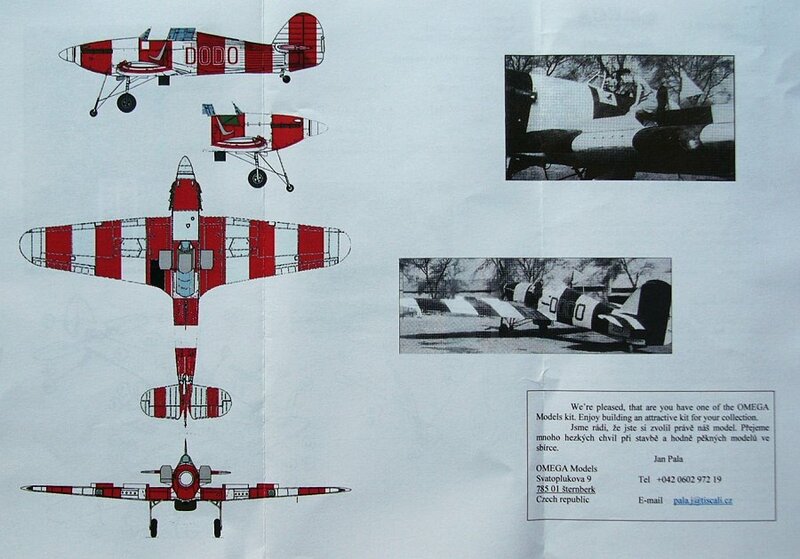 Omega Model issued Kit instructions picture the Dodo as a Red and White painted aircraft. thanks for the Dodo photos, I’d not run across them before. FWIW, I’d say the dark stripes are black, as they match the colour of the prop blades. the prop shown is a standard De Havilland Hurricane unit, which has metal blades. From photos all Tropical Mk.I’s had this unit fitted. 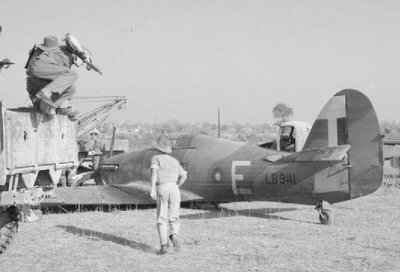 the props on the Mk.II and IV are Rotol ‘Jablo’ units with the Rotol Hurricane spinner, which is also seen on later Mk I’s, so no reason they could not have used one of those. the Omega kit is resin, not a vacform. Troy, Thanks for the comments. 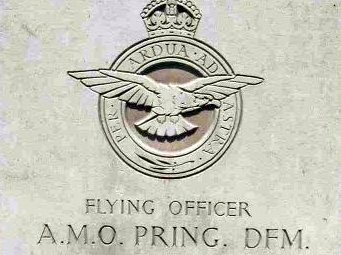 To give credit where its due – The original piece was by Philip Jarrett and was published by Aeroplane Monthly in December 2001. The article had three photographs all seen here. I will add the corrections as well as the proper credits to this page soon.